I got it on sale for the off-season plus an additional discount for paying in cash (that’s a thing in Seoul if you ever find yourself shopping here), but it doesn’t look discounted. 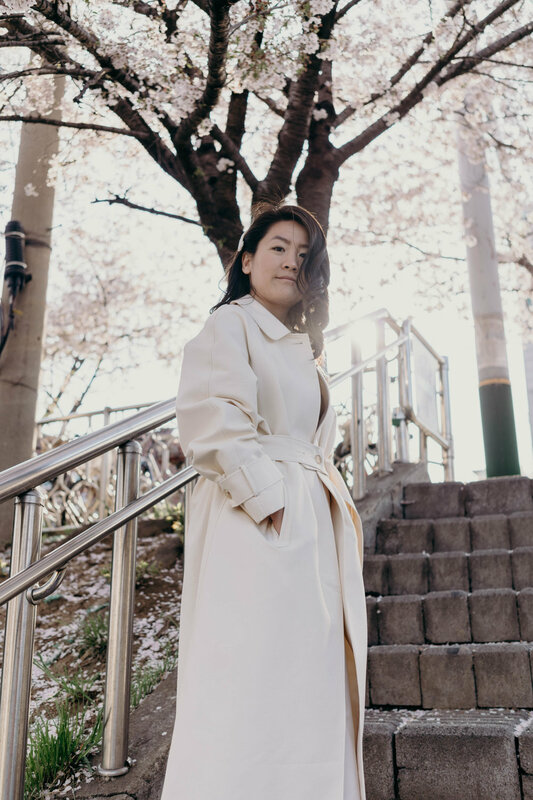 It’s made of a soft and weighty fabric and fully lined, and the attention to detail—cuffed sleeves, structured pockets, patterned buttons, and even a button closure at the back to keep the belt in its loops—really elevates the piece and makes it look expensive. It’s designed to be worn three ways—buttoned up, which gives it a completely different look, open, or just belted as I’ve done in these photos. I ordered it from Iphida, my favorite shop in Yeonnam-dong. It’s almost too special to link alternatives, so I’ll link the brand’s Instagram account instead. The second of my favorites is all my slinky, silky pieces, like this Gold Hawk floral lace silk cami in dusty rose that I wore with an ivory skirt I picked up in Seoul for under $40. 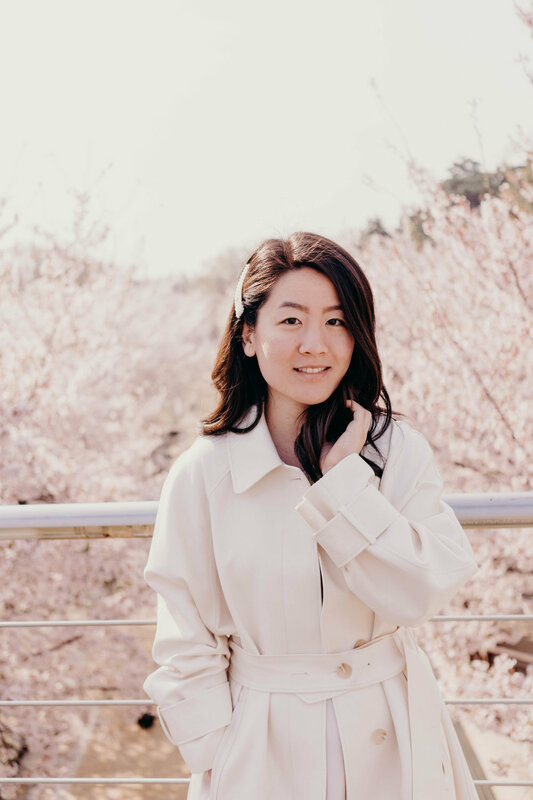 I’ve been loving the look of a silky skirt paired with a thin knit in a similar shade, a structured blazer, a silk top like I wore here when we went to see the cherry blossoms, or even a basic tee. It can feel a bit bridal when you’re doing creamy, ivory shades, but I kind of love that romanticality. Here’s a similar skirt option by Vince and a more affordable option in a gorgeous olive shade. The third of my favorite pieces at the moment is the pearl barrette in my hair, or any barrette really. The barrette made a comeback this season and I am here for it. I hate having my hair in my face, but it’s so thick that it’s kind of a nuisance to tie up. Pinning it back is my MO, and bonus if the pins are pretty. I have an assortment of barrettes that I cycle through throughout the week and this pearl one happened to be the one I chose this weekend. You can find exact copies of this design almost anywhere (this one’s under $3 and I think even Target carries one), but I picked mine, and several others, up from this site. PS: The price is extortionate, even in my wildest dreams, but how stunning is this Mother of Pearl flower barrette? In keeping with the themes of cream, floral, and romantic, here are some spring pieces I’m coveting: this perfect shade of cream slim-fit blazer, this blazer with pretty button details, this blouse with a tie waist belt, these floral bow block heels, and this gorgeous floral bag.